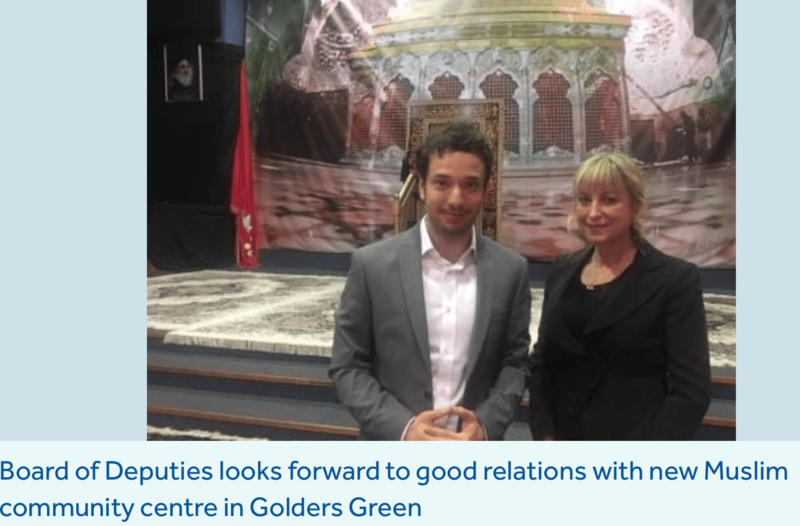 Anti-Muslim hatred always needs to be challenged but tackling misplaced fear and ignorance needs a more nuanced approach, as the recent controversy over a new mosque in Golders Green reveals. In the summer of 2015, we were approached by various Jewish organisations asking for our advice in creating a community-led response to a planned neo-nazi march through Golders Green in London. Together we devised a campaign called Golders Green Together, a positive response to the nazis’ virulent (and antisemitic) hate. Our campaign brought together Jewish community organisations, local synagogues, churches and other faith groups, as well as the local MP and local councillors, plus The Jewish Chronicle and many individual volunteers from the Golders Green area. 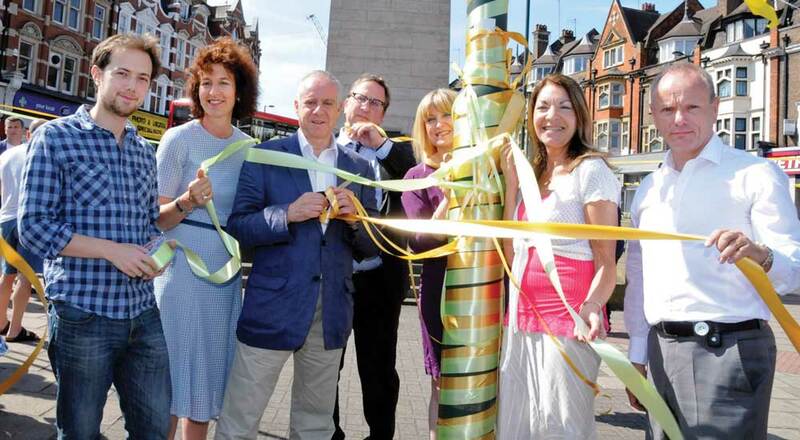 Launching a highly-successful Thunderclap campaign online and producing a community newspaper, as well as speaking to local schools and businesses, we ‘dressed’ the area in bright gold and green and lobbied to get the demonstration moved (which it was). How sad that a small group of individuals have now hijacked the phrase ‘Golders Green Together’ and used it to protest against another faith group’s plans in the area. The difference this time is that their campaign has not been about creating a sense of unity and togetherness, but has used racist and anti-Muslim language and tropes more usually employed by the far right and self-named (anti-Muslim) ‘counter-jihadists’, who promote distorted and false notions that Muslims are “taking over”. 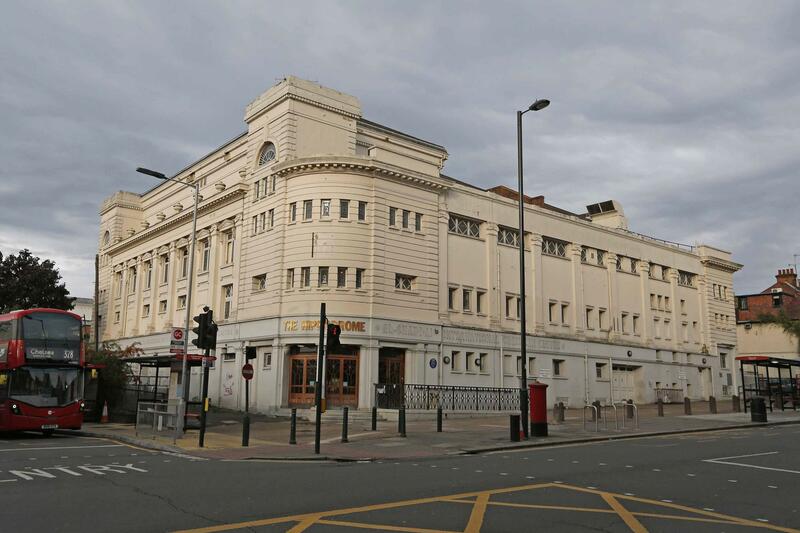 The proposed application for change of use of the former Golders Green Hippodrome from a church to a place of worship, submitted by the Hussainiyat Al-Rasool Al-Adham Community Centre (also known as the Centre for Islamic Enlightening) clearly needs to go through due process. Anecdotally, there have been some localised issues with parking, and with use of the building out of hours, which I understand are already being addressed. The building is large, and if the new use will be far more intensive than has been the case previously, then Barnet Council will need to find ways to manage that without having a negative impact on local residents. For context, the population of the borough of Barnet as a whole is about 15% Jewish and 10% Muslim, while Golders Green is 37% Jewish and 12% Muslim. However, up until now there has only been one (Sunni) mosque in the vicinity, so one might be excused for thinking that the establishment of a second (Shia) mosque ought not to be cause for a huge amount of comment. So how does one respond to the creation of the ironically named ‘Golders Green Together’ group, the Facebook page for which seems to be a safe space for people to post anti-Muslim and racist hate? And what about the petition of more than 5,500 signatures, most of them from Jewish people, protesting the ‘disruptions caused by the new religious centre at the Hippodrome Golders Green’? And if these responses are troubling, is the Jewish community speaking out against them? Are there other more measured responses that have been happening behind the scenes? Finally, what could be done differently going forward? The good news is that every mainstream communal organisation and leader to have spoken or written publicly on this has challenged the divisive and racist rhetoric of the campaigners, and many have suggested or even initiated other responses. It transpires that the rabbis of the largest Orthodox and Reform synagogues in the area, Rabbi Harvey Belovski and Rabbi Mark Goldsmith, together with Mitzvah Day Interfaith Chair Daniella Pears, had already reached out to arrange a meeting with the Centre for Islamic Enlightening, something which had only been delayed by the cluster of religious festivals which have absorbed both faiths. Since the story broke, things are moving apace, and yesterday the Board of Deputies of British Jews published a joint statement with the Hussainiyat Al-Rasool Al-Adham Community Centre, stating that both were looking forward to sharing a good relationship, having visited and met with each others’ leaderships. Moreover, numerous comment pieces condemning the racism and bigotry displayed by a small minority have appeared in the Jewish press, most notably a long piece from Stephen Pollard, editor of The Jewish Chronicle. We hope that those who have publicly expressed the vilest of views will realise that they are (wildly) out of step with the community they purport to speak for. Unsurprisingly, it did not take long for members of the international, anti-Muslim ‘counter-jihad’ movement to deliberately and cynically exploit this issue for their own divisive ends. In their wake travels intolerance, as they banner-wave for sectarian hate and communal hatred. The notorious anti-Muslim activist Pamela Geller (of Atlas Shrugs blog) – who was banned from entering the UK following a HOPE not hate campaign in 2013 – published an article ‘Plan to Open Mega-Mosque in Iconic London Jewish Community’. It opened by asking: “What practicing Jew wouldn’t enjoy the daily nails-on-a-chalkboard supremacist cry of the Muslim call to prayer?” and called the Islamic Centre a “mosquestrosity”. Similarly, the controversial right-wing American think-tank, the Gatestone Institute, which has published numerous anti-Muslim authors such as Dutch far-right politician Geert Wilders, also published a story about “London’s New Mega Mosque”. Meanwhile, here in the UK the tiny anti-Muslim party Liberty GB has tweeted about the issue, as have numerous other anti-Muslim social media accounts. The inflammatory language of this campaign has added to a destructive cycle of mis-information, which feeds into the fear and mistrust of those who are not inherently racist. 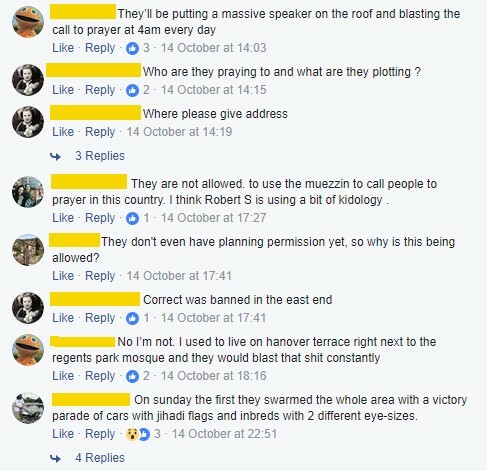 So, how to respond to the 5,500+ individuals who have signed the petition against the new mosque? Firstly, its important to note that some of those signatures are fraudulent. I have heard of several people who have found their name on the petition and have been horrified enough to appeal directly to Barnet Council to have them removed. It is likely there are many others who do not even know they were added. Judy has since gone on to contact her local branch of Nisa-Nashim, the Muslim Jewish women’s network, after her daughter had a very positive experience with an interfaith programme at the JW3 centre. Nevertheless, there are still thousands of people, certainly not all residents of Golders Green, but all holding some kind of affinity or empathy with the area, the vast majority of whom are Jewish, who felt moved to sign this petition. Do we dismiss them all as racists? Or do we see this as a window of opportunity – where genuine fear, mistrust and lack of knowledge have been exposed, and where there is space for creative and positive responses which can be made relevant (not just to those who are already comfortable with the idea of interfaith and cross-community interaction). This whole episode has exposed the fact that many people are unable to separate their fear of Islamist-inspired extremism and related terrorism from ordinary Muslims. It is this fear, and confusion, that anti-Muslim extremists seek to exploit. As Jonathan Boyd, executive director of the Institute for Jewish Policy Research (IJPR) wrote in a recent comment piece, the research behind their recently published report on antisemitism included a 50% drop in unfavourable attitudes towards Jews among people who actually knew a Jew. Back to our window of opportunity. When faced with community tensions or mistrust, it is easy to reach out to the usual suspects – the interfaith circles, the ‘activists’ – and bring them together for a meeting, a photo opportunity, at best a shared meal. The hardest thing moving forwards will be to find ways to reach people who are not faith leaders, who are not already involved in interfaith engagement, those who are genuinely fearful and uninformed, and also those who lead busy lives and don’t see this kind of issue as a personal priority. Our Fear and HOPE research undertaken this summer shows a growing division between people who have an affinity with a faith community and those who have an antipathy towards any faith at all. We can see this playing out in myriad ways: for example, in the framing of the scandal of illegal schools through the lens of faith schooling (when the vast majority of illegal schools are not faith-based), or in the recent example of Balliol College Oxford, where the Christian Union was barred from holding a stall by the student union. Surely now, more than ever, is the time for faith communities, including the disinterested and fearful members within, to reach out and find ways to interact and get to know each other better.